From the author of the international best seller The Stone Man, short-listed for Audible UK's Book of the Year Award 2015. Here are the rules. Method: you can't use a gun. You can't use explosives. You can't use poison. It has to be up close and personal. You don't have to worry about leaving evidence; that will be taken care of. Victim: no one suicidal. No one over the age of 65. No one with a terminal illness. Choose your method. Choose your victim. The Good of the Many is More Important...Or is it? The afterlife doesn't come with a manual. In fact, Hart and Bowler (two ordinary but dead men) have had to work out the rules of their new existence for themselves. It's that fact (along with being unable to leave the boundaries of their city center, unable to communicate with the other lost souls, unable to rest in case The Beast catches up with them) that makes getting out of their situation a priority. But Hart and Bowler don't know why they're there in the first place; if they ever want to leave, they will have to find all the answers to be able to understand the physics of the dead. There are hangovers, there are bad hangovers, and then there's waking up inside someone else's head. Bartender Charlie Wilkes is faced with this exact dilemma when he wakes to find himself trapped inside The Black Room: a space consisting of impenetrable darkness and a huge, ethereal screen floating in its center. It is through this screen that Charlie sees the world of Minnie - his unwitting and unwilling host - while he undergoes an out-of-body experience like no other. From the author of the international best-seller The Stone Man, shortlisted for Audible UK's Book of the Year Award 2015. In the late 1990s, a laptop was found in a service station just outside of Manchester. It contained a digital journal entitled 'TO THE FINDER: OPEN NOW TO CHANGE YOUR LIFE!' Now, for the first time, that infamous diary is being published in its entirety. It's 1998. The Internet age is still in its infancy. Google has just been founded. Eighteen-year-old supermarket shelf-stacker Nigel Carmelite has decided that he's going to become a vigilante. There are a few problems: how is he going to even find crime to fight on the streets of Derbyshire? How will he create a superhero costume - and an arsenal of crime-fighting weaponry - on a shoestring budget? And will his history of blackouts and crippling social inadequacy affect his chances? This is Nigel's account of his journey; part diary, part deluded self-help manual, tragically comic and slowly descending into what is arguably Luke Smitherd's darkest and most violent novel. What do you believe in? And more importantly, should you? 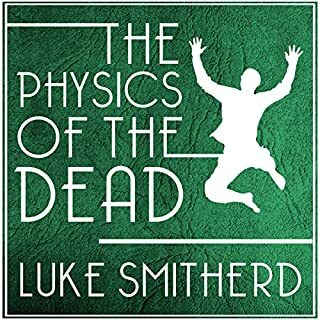 Regular readers of Luke Smitherd may find themselves checking the cover of this book to make sure he actually wrote it because it is unlike any of his other works. 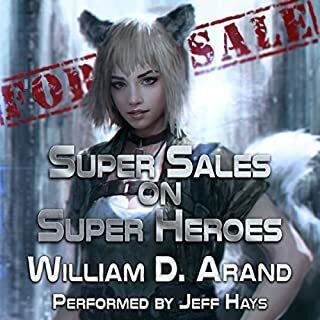 First, there is nothing paranormal or supernatural about it; second, it is laugh-out-loud funny at some points; and, finally, the main character is a disturbed teenage boy who wants to become the world’s first “real” superhero. Nigel Carmelite is an eighteen-year-old boy who hasn’t had an easy life. There are allusions to problems in his past, but most of them are barely mentioned (although there is a very sad story about a boy and his bike) and their impacts on Nigel’s life are left to the reader to determine. We learn about his current life: he works in a supermarket; he is a loner, mostly because he doesn’t know how to interact with other people; he has a crush on a girl at work; and he is keeping a diary to record his journey from “normal” guy to superhero so that others can learn from him and follow in his footsteps. He believes this is his destiny. But Nigel isn’t a “normal” person, whatever “normal” is supposed to mean in his world or ours. He is damaged. The circumstances of his early years took their toll on him and he never received the help he needed. He created his own world where he was the good guy and he was the guy who was always right. He couldn’t exist any other way because “normal” life hurt too much. If Nigel lived in the US, he is the type of person who would shoot up a public place and then turn the gun on himself, and later, people would say he was “quiet” and “always did his job” but was difficult to get to know because he was so ill-at-ease around others. Some people have commented that their dislike of Nigel hurt their ability to enjoy the book fully. That is unfortunate. If all a person does is read the words on the page, Nigel is a jerk. He writes with disdain about most other people he knows. If you read between the lines, however, you can see he insults others because he thinks they are getting in the way of him fulfilling his destiny. He also knows the rest of the world sees him as a loser, if they even notice he exists, but he rarely lets himself acknowledge that reality. You can see this in a few diary entries where he talks about how stupid he is (quite vehemently), but he always comes back to blaming other people for his troubles. He HAS to be right or he can’t be the superhero. By putting down everyone else, he is building himself up into the person he believes he really is. The book is very well-written. Nigel is a person you can empathize with because there is a small part of him in all of us. Yes, it is humorous in many places, but there are also moments that may leave you in tears. The most impressive thing, however, is how incidents in Nigel’s life are shown to repeat themselves (in different contexts), forming patterns that turned him into the person he is. Some of these are obvious, but others are very subtle so the readers are left to discover them and determine for themselves how they impacted Nigel. That is not an easy thing for an author to do, but here, it is done beautifully. This book covers a very short time period in Nigel’s life, but by the end, we know everything we need to know about him and why he needs to be a superhero—because he does need it. He may come across as a jerk at first, but that is just covering up his insecurities and lack of self-worth. His diary is funny because he is so earnest about the things he is writing, even though they are preposterous. Nigel could never comprehend that we are laughing AT him, not with him. The only way he knows to make his life worth something is to become a superhero, which, ultimately, is the saddest part of the story and leads to unintended, heartbreaking consequences. If you don’t fully appreciate the brilliance of this book at first (I didn’t), read it again. You will catch things you missed the first time and will, hopefully, fully appreciate the skill that went into crafting it. There are too many Nigel Carmelite’s out there. Most don’t try to become superheroes; most live their lives quietly and alone and we never know they exist. That is the true message we should learn from this book. There are Nigels all over, but most of us are too caught up in our own daily lives to see them or attempt to help them. Maybe we should try a little bit more. Maybe we’re too busy to see their hands desperately reaching out to us or maybe they’ve given up. Nigel is virtually screaming for help throughout this book. No one hears him or maybe they are too busy laughing at him to notice. So, in the only way he knows, he resorts to helping himself. He adapts to the circumstances of his world—and loses so much in the process. Absolutely adored this story. So many laugh out loud moments, it makes you want to share them with someone. At times absolutely hilarious and others so heart wrenching, this was such an engaging and enjoyable story. Can't recommend it highly enough, you won't be disappointed. What did you love best about How to Be a Vigilante: A Diary? Have you listened to any of Luke Smitherd’s other performances before? How does this one compare? This would be the first! I'm usually wary of authors who read their own books, but this guy was fantastic! Luke Smitherd is a master in the making! I never write reviews and I have listened to hundreds of books on Audible. The reason I write this today is because of how much I have enjoyed discovering such a fresh voice - literally and figuratively. In a time when so many fiction writers are comparable to any number of other fiction writers, it was so refreshing to find a truly unique story teller. He crafts unique mysteries and dramas in simple packages and yet has me on the edge of my seat the entire book. I have been devouring his works over the past few months and I haven't gotten bored once. The thing I like the most about this particular book is it's so realistic, yet fantastic. He creates a character from a sequence of life events that are all completely plausable and common amoung young men and women (bullying, distant/absent parents, social awkwardness, etc.) and the result is, well, it shouldn't be shocking, but it is. The icing on the cake is that he narrates his books and he's actually really good at it! He knows the characters like no one could and I couldn't imagine anyone else being able to evoke the emotion that he does. At the end of every book he states that he reads every review so I would like to address this last part to him directly: Luke, don't stop doing what you're doing and you'll have a fan here in Texas, USA for a long, long time! Thank you for sharing your work! This book gave me nightmares. Holy cow. This book was a visceral and tough listen. Parts of it were so painful I found myself wincing as I drove home. I really enjoyed the narrators work. And it was the kind of story that was a fabulous and bloody train wreck. When you can't stop listening to. Encore! this is my first Luke book. I was searching Audible and happened upon it. the story was dark fun. Entertaining. Narration was great relaxing EZ listening. wish it was longer. I am gonna get another , better known, LM Book soon. 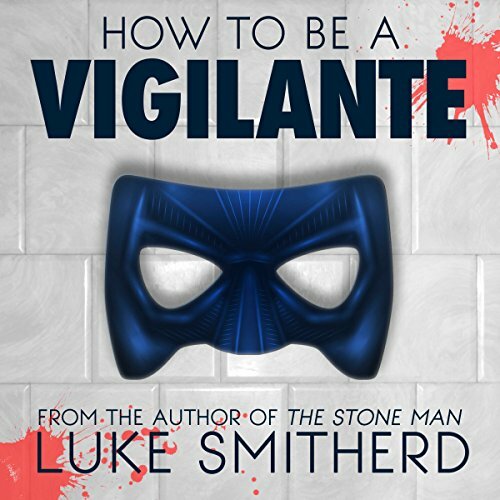 What made the experience of listening to How to Be a Vigilante: A Diary the most enjoyable? Luke's books are always enjoyable, in his unique dark sort of a way. This is a strangely positive innocent book to start with, but all the time there is a discomfort, and a knowing that things are not quite right. And by the end you know just how wrong they are. The central character, Nigel. He's a very complicated person, but doesn't realise it. Ever the optimist too. I have listened to a number of Luke's other books, all of them are great. This one is a bit different, less sci-fi, but a great listen anyway. Personally I thought this one started a little slower, but I was totally hooked by the end. Luke is a fantastic author, and this, while not his best in my opinion, is still well worth a purchase. Thoroughly enjoyed it. Excellent - Funny, Dark and Twisted! This book will make you laugh and cringe at the same time. It is a fascinating story of how an unstable obsessed person could attempt to live real life in a fantasy. You will not be able to stop listening. I have been a big fan of Luke Smitherd for some time now. This book is in someways different from books like The Stone Man or The Physics of the Dead in that it is not specifically a science fiction book. It is very much like all of his books in that the character development is strong and the book is unpredictable. This book has some funny moments and some heartaching moments. I like when he's trying to figure out his costume and what he wants to wear. And the masks he draws. I didn't like the part with the girl. But mr smitherd made it all come together like a pro. I'll read more from him. As usual, Luke's character development is what keeps me reading. The dangers of living inside one's mind. This is a different book than we are used to seeing from Luke Smitherd, but do not let that scare you away. There are certainly thrills and chills. And, as he always does, Luke has you feeling for the main character as he carefully develops what makes them tick. Though, this time you are more apt to cringe at the main character's inner machinations that lead to the choices he makes. You won't want to put it down! Well here we go it’s that bloody Smitherd bloke . . . AGAIN! Ridiculous premise, dopey sounding plot, run of the mill title and when you put them all into a story you somehow get something exceptional. Adrian Mole meets Walter Mitty on acid and chaos ensues! The lead, named Nigel living in the hell of 1990’s Derby is barely adequate, fairly unlikeable and yet reaches for the stars. I loved him. Smitherd is not an author you can settle down and get comfortable with. As soon as you think that you’ve got his number up comes the next book and does a “And now for something completely different” act on you. 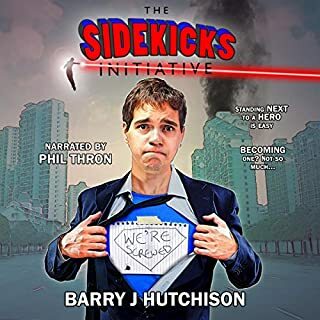 It is a real talent and here we’ve departed from the supernatural / paranormal influences and yet find ourselves in a dark yet humorous misadventure. It does cut up rough with violence and swearing but it’s quality plotting and writing all the same. Once again I can’t give Sir Luke a bad review even though I did once again come to this book to bury him rather than praise him. I did not receive a free copy, which is obviously because he hates me, so I was not obliged in any way to give an honest review. I did anyway just to spite him. I don't know why I enjoyed this as much as I did, I only occasionally felt sympathy for a character that I found to be a complete tool. But his gradual progress kept me going. However when things started getting (very) dark, and the story began to go completely off the path I was expecting it to go, I couldn't stop listening. Often clapping a hand to my eyes or mouth at some new revelation. Thanks for another great listen. In his self confessed review begging afterword, the author is very modest about his performance. But really he reads the story perfectly. I can't imagine Nigel's voice being realised any better than this. The book begins in a light, humorous vein but soon spins to a darkly violent world as the central character is sucked into a story of his own innocent creation. I shan't spoil it for you but I do recommend it to you. I consumed it in just a few days, once drawn in I couldn't let go. I have signed up to audible and pay subscription fees just to be able to get smitherds books. this month's 7.99 was not wasted. I just hope when he is signed up by the big publisher he keeps reading them too. I've covered countless miles in my hgv listening to his books. everyone is great and vigilante was a journey. This book was funny and at the same time so tragically sad. I loved it, but It also made me wanted to stop listing at times as I didn’t want thing to get any worse for the main character. I don’t want to give the game away but what at first seems to be a light hearted tail turn very very dark.Excellent book, excellent narration. What was one of the most memorable moments of How to Be a Vigilante: A Diary? 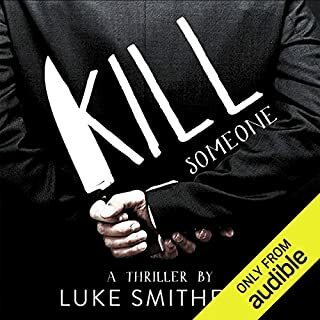 1st audiobook by Luke Smitherd I've listened too and it was great. Have read all his other books and love how they are all completely different from anything else. Another Luke Smitherd book devoured in less than 48 hours.. what more can I say! Really enjoying this author and the themes he explores, always keeps you guessing. very funny, then VERY dark. loved it. 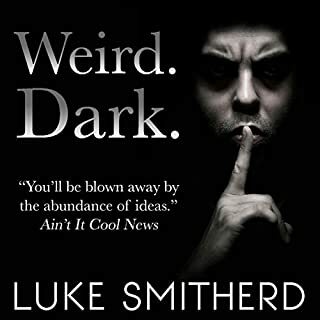 already a Luke Smitherd fan having read most of his previous stuff. this doesn't disappoint. great story, very funny but gets super dark, super quickly. another excellent LS short epic! 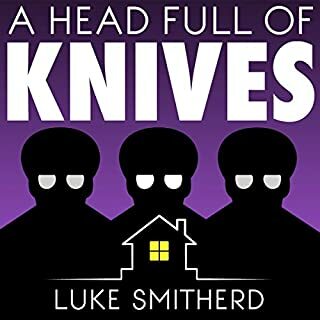 What does Luke Smitherd bring to the story that you wouldn’t experience if you had only read the book? Having read an advanced readers copy of the book I was also given the opportunity to listen to the audible version & being an avid audio book fan leaped at the chance. I'll admit I'm biased, being a Brit it's always nice to listen to a fellow Brit reading the story instead of the normal round of Americans.. I enjoyed Luke putting passion into his superhero voice & the apparent ease of his drunken rambling. Without adding spoilers, the part of the book where we moved from the early humour into the darkness & horror of tragedy was really well done for me. I thoroughly enjoyed this book! It started off quite light and funny, but later parts of the book are deeper and darker and sadder...really quite an emotional book for me. I was surprised to learn in the authors afterword that this was one of his first books written many years ago and then 'lost'. I am so glad it was found and published! Just a word about the narration...I do have to say I really love when authors have the talent to narrate their own books. You know you are hearing exactly what they meant when they wrote it, with all the inflections in the right spots. And Luke does such a brilliant job of narrating his books! the night man is here!